COOK -The landing at Mallicolo, one of the New Hebrides. 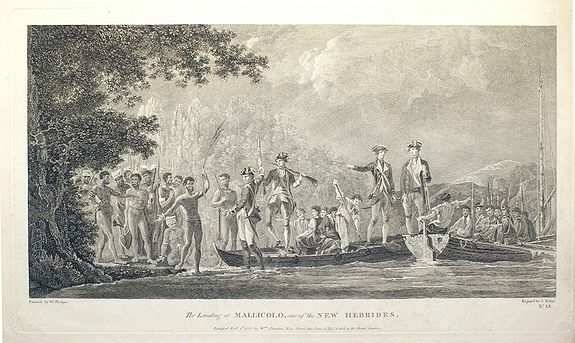 COOK, James - The landing at Mallicolo, one of the New Hebrides. Title : The landing at Mallicolo, one of the New Hebrides.. Date : London, Straham, 1777. Size : 9.3 x 18.1 inches. / 23.7 x 46.0 cm. Description :Painted by W. Hodges. Engraved by J.K. Shirwin.